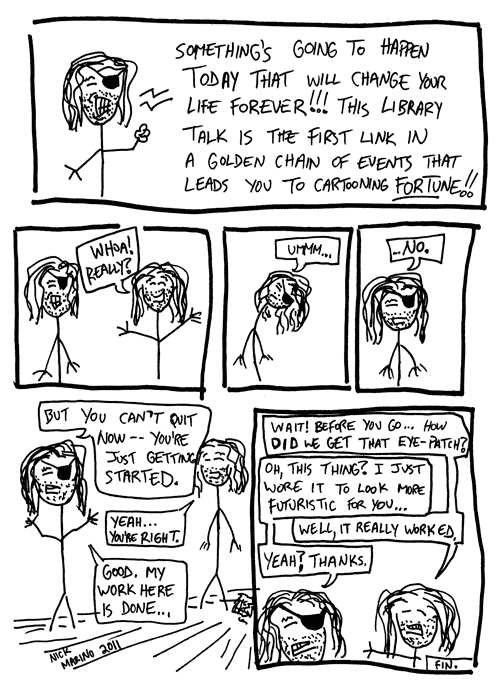 Tonight, I'm giving a talk (with Shawn Atkins) at the Carnegie Library of Pittsburgh's Main (Oakland) location at the Out of the Gutter graphic novel discussion group -- it's at 6:30 PM and it's called Using Every Piece of the Cow. 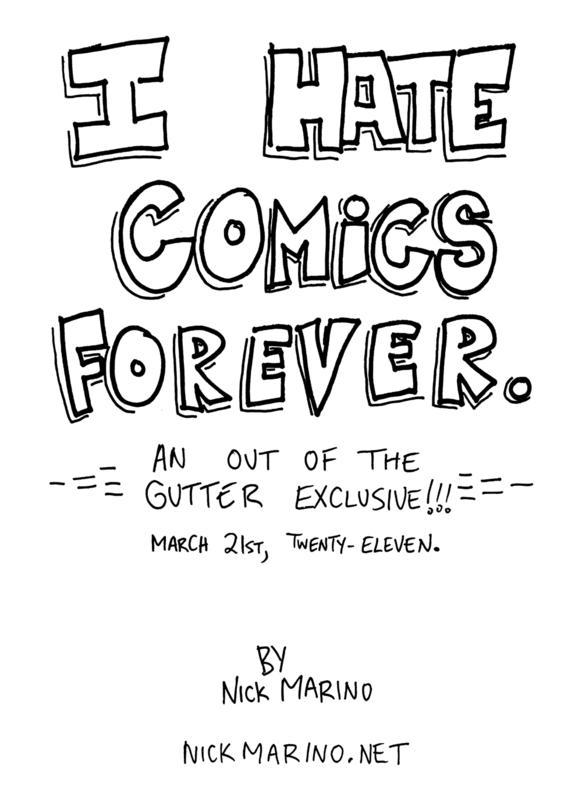 I took an hour out of my day today to whip up a special Out of the Gutter EXCLUSIVE two-page comic called "I Hate Comics Forever." I'm going to raffle off the one-of-a-kind only-one-on-paper original art of the comic tonight at the talk. So get yer butts out to library if you wanna take this sucker home!!! 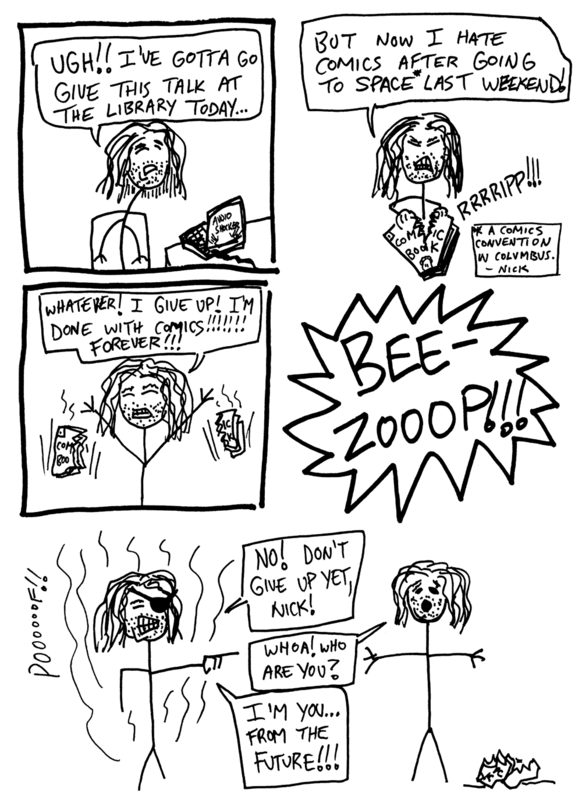 Time-traveling fake-eye-patch-wearing Nick stops present Nick from giving up on comics? CLASSIC!